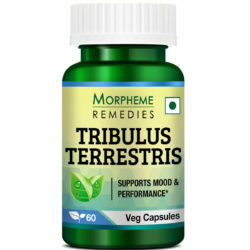 Morpheme Remedies Shilajit vegetarian capsule is a dietary supplement for improving strength, stamina and vigor in your body. 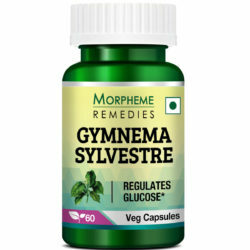 This product is 100% vegetarian, non-GMO and certified dietary supplement, which is made in a GMP-certified facility. It is safe-to-use and easily digestible as it contains the pure and contaminant-free herbs-mineral compound, Shilajit. 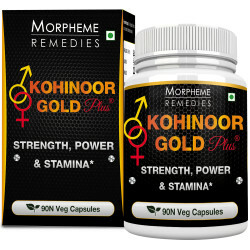 People who are suffering from low energy and endurance problems can take Morpheme Shilajit capsules. This dietary supplement helps improve strength and stamina in the body. Shilajit is a tar-like substance that naturally oozes out of cracks from rocks found in the Himalayan Region. The color varies from black to brown and has a slightly nutty taste. It can be used regularly for rejuvenating your body. It is recommended to take one or two capsules every day that could help you stay energetic, active and healthy. Shilajit also known as asphaltum primarily composes of more than 80 types of minerals and organic acids such as fulvic, benzoic, humic and hippuric acids. It is known for its adaptogenic, anti-inflammatory, antioxidant and immunomodulatory properties. 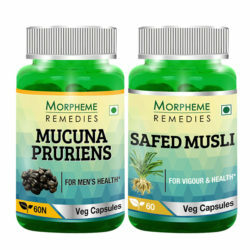 Morpheme Shilajit capsule consists of pure Shilajit with bioactive constituents such as fulvic acid and humic acid which help in providing the necessary minerals and nutrients to the body. It is best to take 1 or 2 capsules daily to support energy and stamina. CAN I TAKE THIS TABLET POST WORKOUT IN GYM? Yes. You can take this tablet after workouts. No, this capsule will not aid in reducing weight. CAN I GIVE THIS TO CHILDREN ABOVE 5 YEARS? No, this supplement is not advisable for children. It is only best for adults. Take one or two capsules twice every day to get the maximum benefits. It is recommended to take Shilajit capsules after a meal with a glass of lukewarm water or milk. Best anti aging supplement I have used so far. 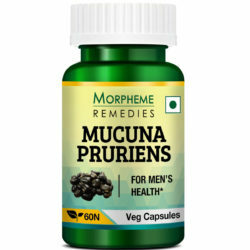 It is not only helpful in anti aging but also helpful to increase sexual power, diabetes treatment, urinary problem etc. I like this product and recommend everyone. I feel much better after taking this supplement. 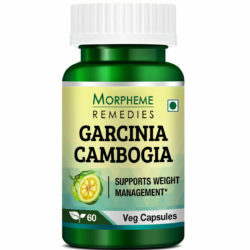 It’s a wonderful product having lot of benefits. Try it once, you also start loving it. Overall wonderful experience after taking these pills for a week. You will surely notice the change from the first day when you start taking these pills. I got this product last week and after trying it for a week I say that it works great. I feel more energetic and healthy. 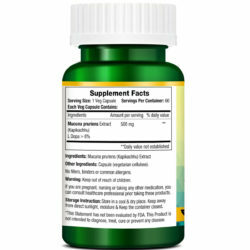 Best anti aging supplement at that price. I have nothing to say, but all praises for Shilajit Capsules. It has an anti-ageing potency, good for my arthritis and diabetes, purify my blood and control my blood pressures. Satisfied. Very good capsule. I like it very much. 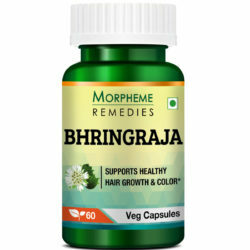 Shilajeet capsules are very potent capsules with a cheap price. This is a wonderful product for men. It has made me energetic and improved the quality of my health. Shilajit it truly amazing. It helped me overcome fatigue in a few weeks. I feel as hale and hearty as I used to feel 20 years ago (my current age is 52). Shilajt is good for increasing energy. It has helped me in overcoming fatigue. I can now do all sorts of physical activities for a longer time without feeling tired. A wonderful supplement for increasing energy. It helped me overcome fatigue. I am feeling lot more healthier after taking Shilajit capsules. This is a very good quality shilajit supplement. It helped in making me feel energetic in a short time. Shilajit is really a good energy booster. The quality of this product is very good. This is a very good quality Shilajit supplement. It is great for boosting endurance and libido. For best result, I take it with a glass of milk. It helped in reducing weakness. The quality of Shilajit of this brand is one of the best. I am taking it for several months and there has been significant improvement in my health. It has been 2 weeks I am taking these Shilajit capsules. I am starting to feel a little stronger. Good quality shilajit supplement. It helped increase my energy and stamina. There has been moderate improvement in stamina and endurance after taking these Shilajit capsules. Shilajit is an excellent energy booster. The quality of this particular Shilajit capsule is very good. Shilajit is known for its health benefits. Luckily I found this supplement that contains good quality shilajit. I am feeling healthier, stronger and happier. These shilajit capsules have given me strength and stamina. They helped in increasing focuses and reducing stress. Shilajit is a great energy boosting supplement. Finding good quality Shilajit is not easy. However, this particular one is of the best quality. The Shilajit capsules have given me energy and stamina. This is good quality product for maintaining health. This is a top quality Shilajit supplement. I am taking this for a month. It has helped me. Good quality Shilajit capsules. I am feel good after taking them. This is a good quality shilajit supplement. It has helped in boosting my energy level. I am feeling healthier and fit. Shilajit has given me energy. A good supplement. Shilajit has helped in improving my health. The quality of the supplement is good. 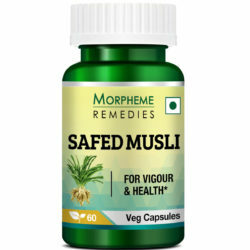 These are good quality Shilajit capsules. I started experiencing its positive effect on my health from the first week. Taking Shilajit for a month. Now I feel less exhausted after physical activities. Shilajit makes me feel healthy and hearty. A good quality product. Shilajit is a great product. My health has improved and am feeling energetic. It is the quality of Shilajit that matters most. This seems to be of good quality. I am feeling energetic after taking it. This is high quality Shilajit. I feel healthier and my stamina and strength have increased with its help. Good quality Shilajit supplement. I started experiencing its positive effect on my health from the first week. Shilajit is making me feel strong and healthy. Very good quality product. This is a trusted brand. The quality of Shilajit is excellent. Feeling good after taking this for a few weeks. The effectiveness of shilajit depends upon its quality. I found this particular shilajit capsule to be of good quality. I’m feeling much better after taking it. It is the quality of Shilajit that matters most. This is an excellent quality Shilajit. I could feel the difference in a short time. It helped improve my health. This is pure Shilajit. Within a short time I started noticing improvement in my health. I’m impressed with the result. Two weeks after taking Shilajit daily, I feel stronger and energetic. I took Shilajit for rejuvenating my health. It helped build stamina and reduced fatigue. Good energy booster. It helped reduce fatigue during physical activities. The effectiveness of Shilajit depends upon its quality. After taking this shilajit capsule for 2 weeks I feel better and energetic that shows that this Shilajit is of the finest quality. Top grade shilajit. Feeling healthy after taking it. Shilajit is giving me stamina and energy. Shilajit is known for its energy boosting effect. I am taking this for a month. It helped increase strength and energy. Shilajit is a wonderful stamina booster. It helps maintain my energy level. These shilajit capsules are of the best quality. I take a capsule daily and it helps in maintaining my energy level. This is a good product. It gives me energy and helped increase focus. My energy level is higher after taking Shilajit capsule. I believe this is a good quality Shilajit extract. This helped increase my strength and energy. Feeling healthier. Excellent quality Shilajit. Shilajit is an effective energy booster. 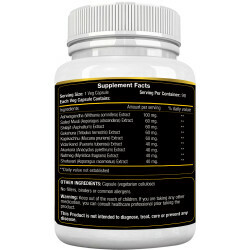 This supplement is of very good quality. Shilajit helps rejuvenate me. I started noticing its benefits in a short time. A trustworthy product. Shilajit is a good health booster. My health has improved after taking it. A good supplement for the middle-aged. This supplement helped boost my energy level. I feel healthier. Good quality product. A good supplement for improving health. I feel more energized. This is a trustworthy Shilajit supplement. It helped boost my health and energy. Quality Shilajit supplement. Noticing improvement in health and stamina. Shilajit is a good supplement for increasing stamina. I started feeling healthier and energetic in a few days. I found Shilajit effective in increasing my low energy level. Will continue taking it. Shilajit is an excellent supplement for boosting energy. The quality of this product is excellent. After taking it for a few days i started noticing improvement in my energy level and general health. This is an effective Shilajit capsule. It energized me. It shows result in a short time. I feel less exhausted during physical activities after taking Shilajit. It is a good stamina booster. This is good for boosting vitality. The product arrived quickly. These shilajit capsules are excellent stamina boosters. I started noticing result after taking them for a few weeks. Are there any side effects of consuming Shilajit? Shilajit is a side effect free product. It is safe even for long-term use. 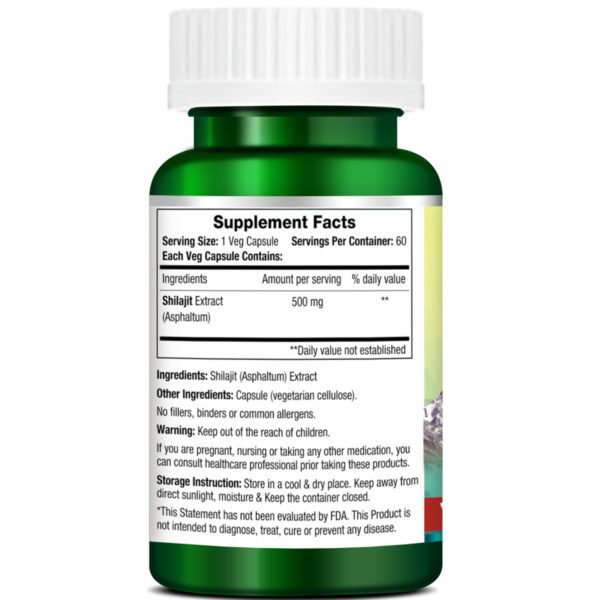 Most people start experiencing the stamina boosting, aphrodisiac and other beneficial effects of Shilajit within one to two weeks after taking Shilajit capsules. For best result, take Shilajit capsules daily according to direction. Can I take Shilajit with other medications and supplements? Shilajit is a natural supplement that does not interact with other medications and supplements. Instead, fulvic acid, the main bioactive constituent of Shilajit as a natural carrier helps in carrying nutrients to their target cells. When taken with other medications and supplement, Shilajit tends to increase their effectiveness. 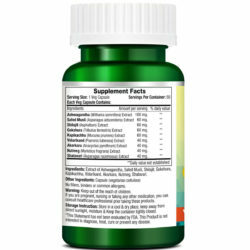 Can vegetarians and vegans take Shilajit capsules? Shilajit is a fully vegetarian product. There are no traces of animal products in the supplement. Therefore vegans and vegetarians can take Shilajit.